Tillara Casey has an internship at the ABC. INDIGENOUS broadcast student Tillara Casey will get a first-hand look at the world of journalism after being offered a paid indigenous internship with the ABC. 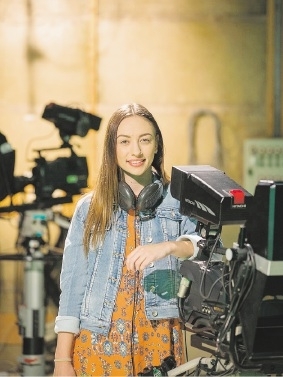 The Bayswater resident and Edith Cowan University student, who is in her second year of Bachelor of Communications degree, will learn to produce, prepare and conduct interviews, while also packaging up audio and creating content for social media. “I think I’ll gain a lot of practical experience and confidence in my work and writing and also learn new skills,” she said. A Karajarri and Yawuru person from Broome, she hopes to go back to her hometown opportunity to tell her stories of regional WA. ABC radio training and development trainer Fiona Churchman said Ms Casey’s motivation to work in the media and dedication to university shone through in her interview for the internship.